Instead, it was just opposite: I wanted the delicious and adventurous meats that chefs love. Some of the first things I ate after denouncing my vegetarianism were raw oysters, medium-rare burgers, and steak tartare. I liked them all; no, I loved them all. All the meaty bits that make chefs drool were bliss to me. But one stood out above the rest: bone marrow. 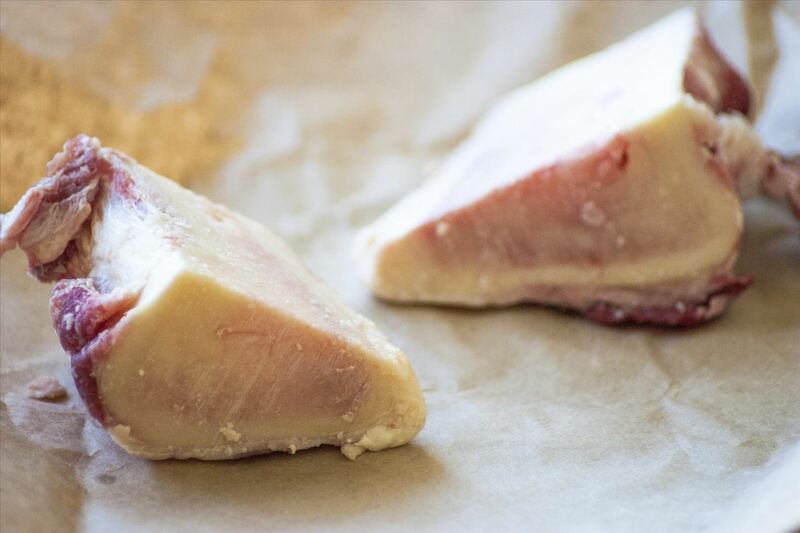 The first time I tried bone marrow, I was reminded of my five-year-old self, who made a habit of eating plain butter by the spoonful (behind my mother's back, of course). 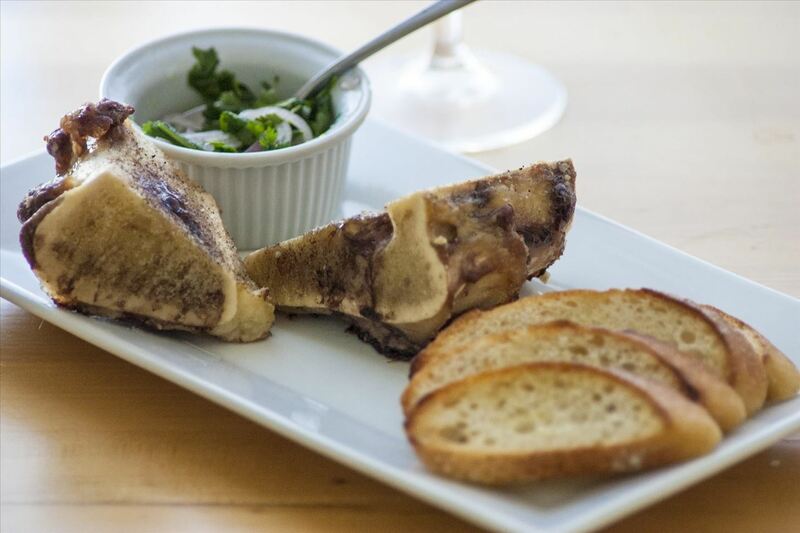 Bone marrow is kind of like the sophisticated version of that: rich, fatty, silky, savory, nutty bliss. And while it's not nearly as common in America as it is in some other countries (it's a beloved and traditional item in England, France, Korea, China, and Belgium, just to name a few places), it is a staple at many high-end restaurants, and adored by nearly all who try it. Marrow is the soft and flexible tissue that exists in the middle of bones (soft and flexible being relative terms: when raw, marrow is still very firm). When cooked, the outer part of the bone stays hard, while the marrow inside softens into a consistency that's similar to pudding, or soft butter. The marrow that you find at restaurants or grocery stores is usually from beef (though sometimes from other large animals, such as venison), and it usually comes from the femur or humerus, as these bones are large enough to contain a sufficient portion of marrow. 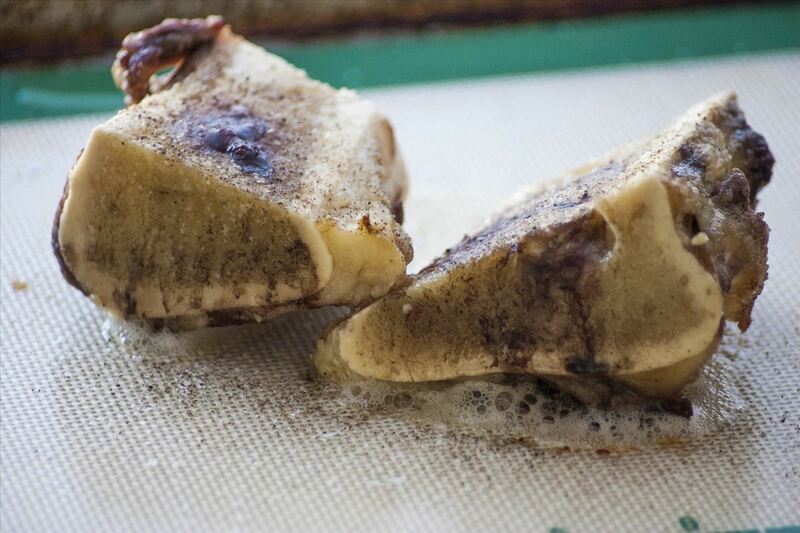 How Do You Cook with Marrow? 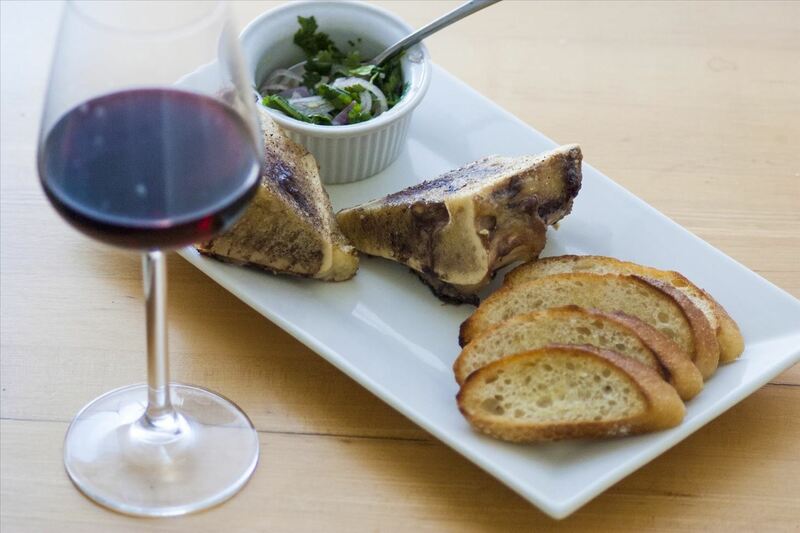 Bone marrow is the perfect appetizer for when you have friends over (or if you want to impress your date with a gourmet app). It's incredibly easy and quick to make, nearly impossible to mess up, and very affordable. Start by generously seasoning the marrow with salt and pepper. You want to season the marrow itself, not the bone, so add your salt and pepper to the center of the bone, where the the marrow is located. Place the bones flat side up on a baking sheet, and add to an oven at 400°F. Bake for 10–15 minutes; the marrow will be done when it is bubbling like burnt butter. When your marrow is cooked, you can scoop it out of the bone with a spoon and eat it plain, or add it to a piece of toast (which is my favorite). 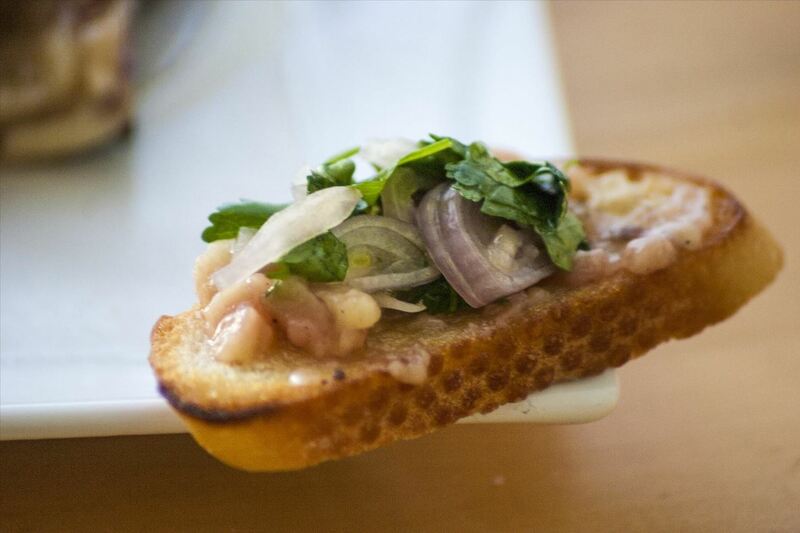 If you really want to impress your friends, however, you can make crostinis by using marrow and a fresh herb salad or salsa. Marrow isn't the easiest to find, but it's not impossible. My local butcher sometimes carries marrow bones, and the butcher at my farmer's market always carries them. I've also noticed that Whole Foods usually has marrow bones, though be sure to check in the frozen meat section if fresh aren't available. 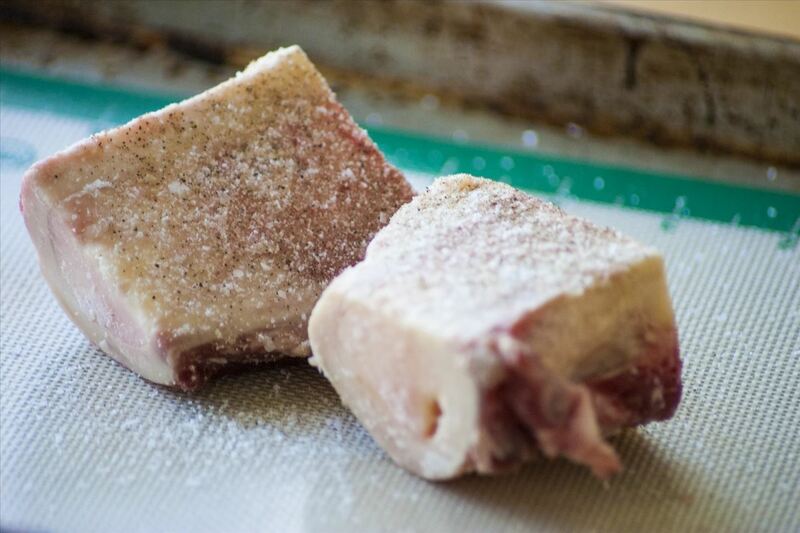 I've noticed that beef knuckle bones are easier to find than marrow bones (this is because knuckle bones are used in bone broth, which is currently very popular); knuckle bones are also usually cheaper than marrow bones. Some knuckle bones (though not all) contain a decent amount of marrow in them, so it's worth asking your butcher if they have some with a bit of marrow in them; in fact, the bones I used in these pictures are knuckle bones! As marrow is primarily fat, it would seem that it's horrible for you; but it's not! Marrow contains a very large amount of fat-soluble vitamins and protein, and is lauded by many nutritionists as being very healthy (in moderation). If there's one thing you need to know about bone marrow it's this: don't throw away the bones! Cats and dogs love bone marrow even more than I do, so after you've eaten everything you can get out of the bones, give them to your furry friend to finish off. Or throw them in a stockpot with some water and make delicious bone broth. 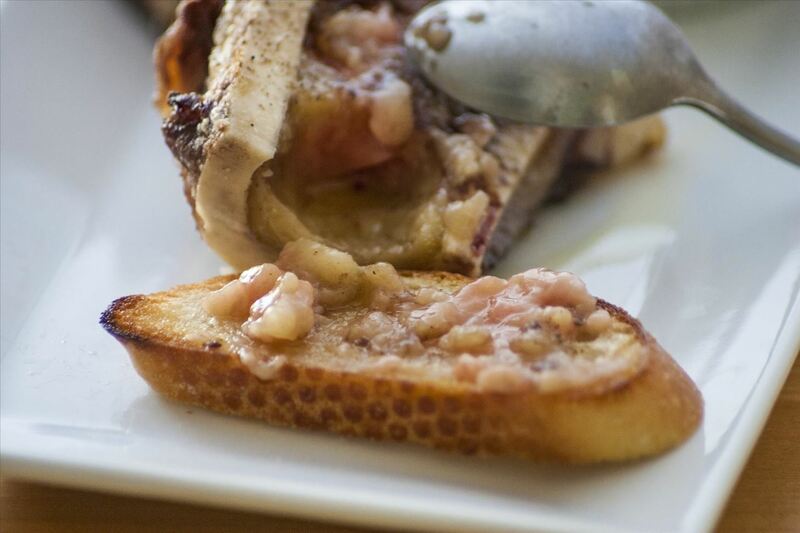 Actually, if there's one thing you need to know about bone marrow it's this: try it! You'll love it. Caul Fat: Is It Better Than Bacon? How To: Bone Broth—Is It Worth the Hype?